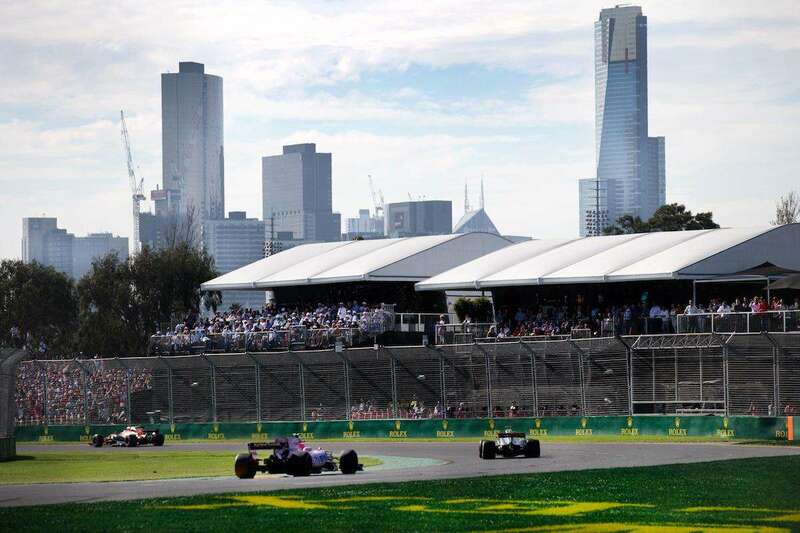 Get the most out of your trackside experience at Albert Park for the Australian Grand Prix. The next race is on March 14-17, 2019. Eight gates provide access to the track for fans throughout the weekend. All gates are free to enter for all ticket holders with the exception of Gate 1, where you need a grandstand ticket to enter. Confusingly, gates are numbered 1 to 5 and 8 to 10 (there are no gates 6 and 7) – see map below. 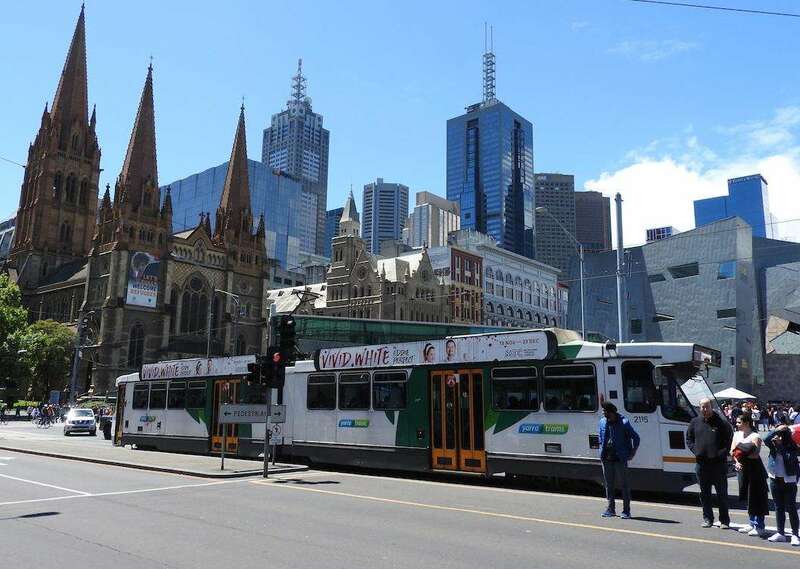 Most gates are located close to public transport and the majority of trams heading to the circuit on race weekend are free. You are not allowed to bring alcohol into the circuit. Glass bottles and containers are also prohibited and your bag will be searched. Non-alcoholic drinks in plastic bottles can only be brought into the circuit if they are unopened. General Admission ticket holders are also allowed to bring folding chairs and stools into the circuit. Don’t be in a hurry to leave the circuit at the end of each day, particularly on Saturday and Sunday, as there can be big queues to leave via popular gates, as well as heavily congested public transport. Read Getting There & Around for more information on how to get to the circuit. Click here to add the on-track schedule to your calendar. There is no on-track Formula 1 action on Thursday. The F1 cars hit the track for the first practice session (FP1) at midday on Friday. 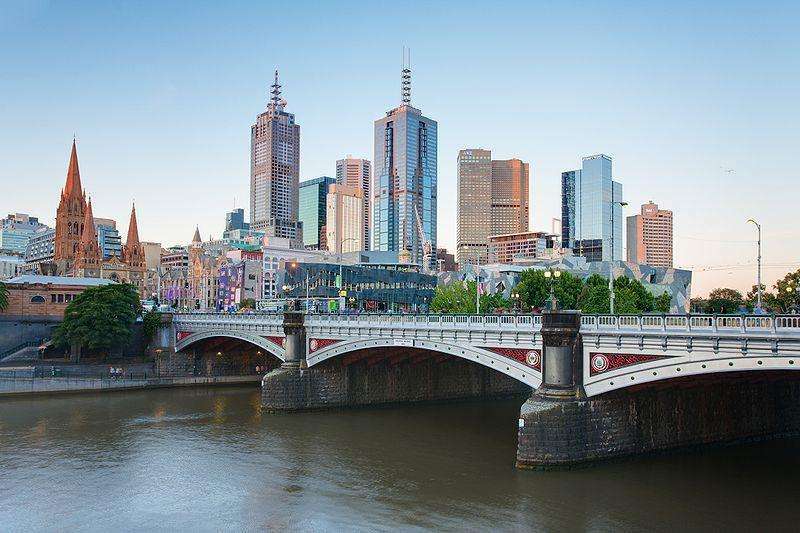 Since 2009, the Melbourne event has run on a ‘twilight schedule’ to allow more fans around the world (particularly in Europe) the opportunity to watch the action at a more suitable time. 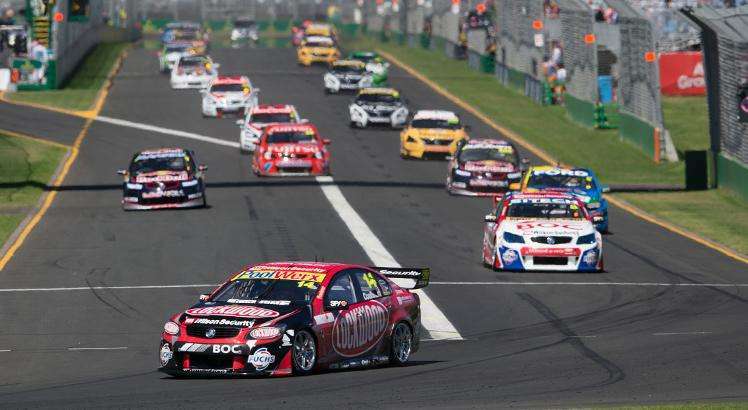 The main non-F1 draw on track in Australia are the Australian Supercars, a hugely popular local touring car series. The ‘tin top’ racing is super competitive and many local fans are just as interested in the V8 Supercars as Formula 1. This year, there will be four races over the course of the weekend, plus practice and qualifying sessions. Two longer take place on Friday and Saturday evening and two shorter are held around lunchtime on Saturday and Sunday. The Australian Formula 4 Championship joins the support bill for the 2019 Australian Grand Prix. Expect lots of young drivers looking to impress in the three races held over the weekend. The Australian GT Championship remains on the support schedule for the 2019 Australian GP. Up to 30 GT3 and GT4 cars from Lamborghini, Ferrari, BMW, Audi, Mercedes, Porsche and MClaren make up the field, which will race four times over the weekend. Finally, the Ferrari Challenge Asia Pacific is also in action at Albert Park this year. A capacity field of 488 Challenge race cars will be in action with 2 races on Saturday and Sunday morning respectively. 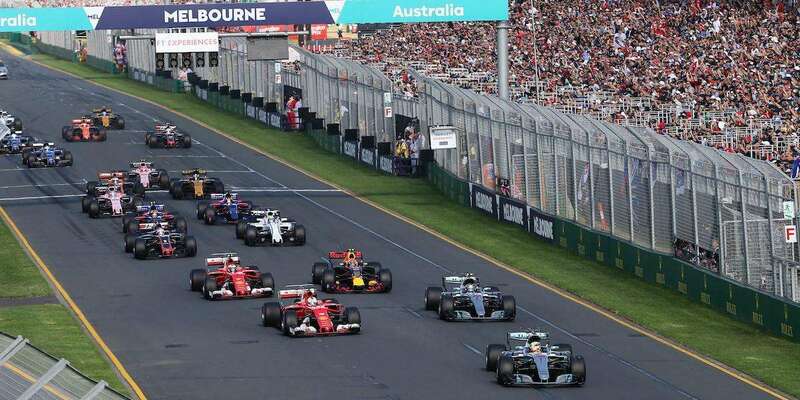 Other highlights of the on-track schedule at the 2019 Australian Grand Prix include Ferrari and Lamborghini parades, and a Historic Parade. As always, the F1 drivers gather for a season-opening photograph and parade around the track on Sunday afternoon before the race. Head to the Heineken Village behind the Brabham grandstand for special concerts over the course of the weekend. You can also watch the action on the big screens, drink Heineken (of course) and buy food in this area. Learn more here. Aerial displays – at various times throughout the weekend, the action is in the air as the Royal Australian Air Force (RAAF) roulettes do their thing in the skies above the circuit. The RAAF F/A18 jet also makes several very loud passes over the circuit during the weekend. Action Zone – in a special infield area, Nitro Circus Live puts on a series of events across the weekend showcasing extreme sports including freestyle motocross, skateboarding, BMX and more. Legends Lane / F1 Central – these zones feature a range of food and drink options, merchandising and displays of current and historic cars. Autograph Stage – huge crowds gather here on the opening Thursday of the event when the F1 drivers appear to sign autographs. On the following days, fans can get autographs of the V8 drivers, celebrity race drivers and motorsport legends. 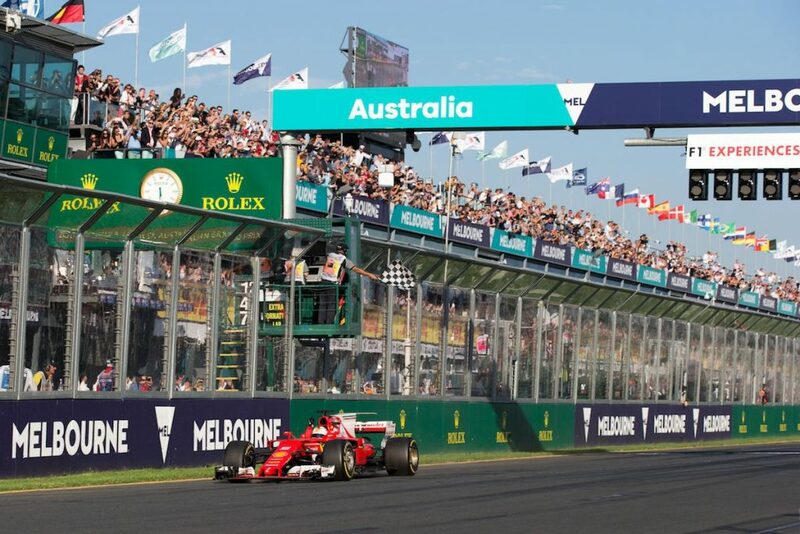 Click here for a full rundown on the entertainment schedule at the 2019 Australian Grand Prix. If you are keen on meeting the drivers in person, the Autograph stage on Thursday when the F1 drivers appear is not actually the best place as the crowds are huge. A better place to go is the so-called “Melbourne Walk”, near the entrance to the Pits and Paddock Club, where the drivers enter and exit the circuit and park their cars if driving. The best day is Friday as there are less fans. Be aware that you will need a grandstand ticket to access this area; it is off-limits for general admission ticket holders. Another option is to stake out the entrance to the Crowne Plaza Hotel, the preferred hotel for the F1 teams. 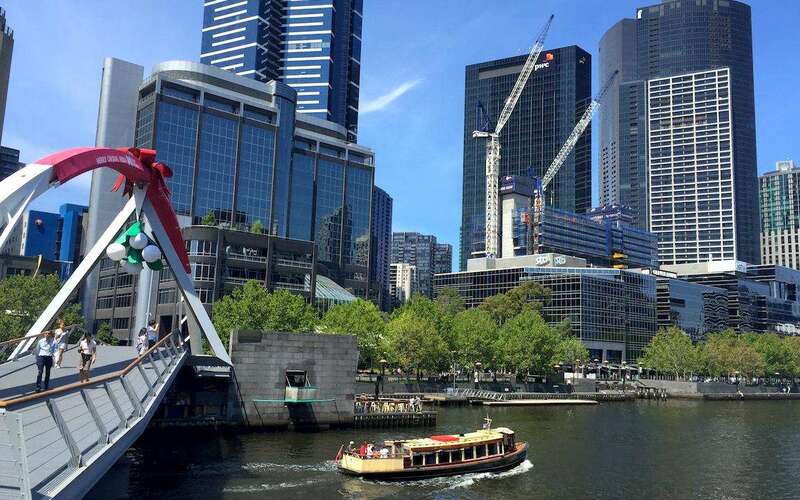 Get VIP access to the Melbourne walk with F1 Experiences packages. Despite being a temporary F1 circuit, the quality of the facilities at Albert Park is very good. There are ample food and drink areas dotted around the circuit, and large numbers of toilets (mostly temporary, but some year-round) so queues are short at most times over the weekend, though race day is busy everywhere. As seems to be common at most F1 venues around the world, food and drink are expensive by international standards and the quality of the food on offer is generally low. Options include hamburgers, fish and chips and pizzas; most meals cost around $10-15 AUD. Alcohol is freely available around the circuit. A can of beer will set you back around $8 while soft drinks are $6. Free drinking water is available at various locations around the track, so keep your empty plastic bottles at the ready. Been to the Australian Grand Prix? Leave a comment below with your tips! how can we reach the AUS GP circuit at 9 A.M, as it is mentioned that the gates open at 10.30 A.M. for the drivers autographs. You make a good point! I updated the text – you won’t have much time with gates opening at 10.30am to get autographs in the morning around the entrance to Paddock Club. The alternative is to try and catch them as they enter the circuit at this gate in their cars (that is, you get there earlier and stay outside the circuit near the entrance to Gate 1). Otherwise, you can try and catch them as they leave the circuit at the end of each day. We will update this guide for the 2015 race in the coming months. Enjoy the race! Where did they seat you? No hydration stations for the public on the outside – ( on drivers left side) of the track between gates 2 and 8. So many patrons were asking today. Hi. is it possible to walk on the track with every ticket? and what time is it possible? and is it absolutely necessary to have a paddock club ticket to do a pit lane walk? in your opinion whats the best/ affordable circuit to do a pit lane walk? You can do track walk and podium after the race with any ticket, but I recommend getting closer to the main straight near the end of the race. On Thursday several pitlane walks are held, but you need to have bought your tickets before November 30 and have GP Advantage to take part. I recommend buying the Starter package from F1 Experiences and you get an exclusive pitlane walk on Thursday, plus some other benefits. Is earlier In the day an option to when drivers are arriving- what time is that? Also do general admission tickets give you access? Earlier in the day could also be an option if you head there as soon as the gates open at 9am, but I think some drivers will arrive earlier than this. You cannot get to this area with General Admission tickets, unfortunately. Hi, are there gate sale tickets available over the 4 day’s? Is there live on track Radio commentary and what’s the best way to access/hear it? Can you upgrade general admission tickets to grandstand on the day? Is there an internet address for 99.7? I’m at the track, but can’t hear the announcers over the cars. I do have headphones. Thanks. What were the cars that were used in the drivers parade today? I am planning to attend the 2019 Sunday race with general admission tickets. Where is the best place to view with a giant screen to view the action for the whole of the race and track? 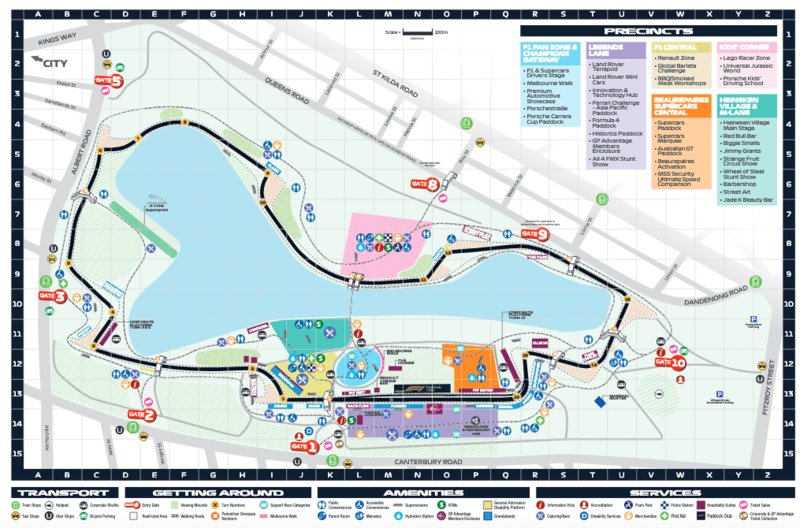 I am going to the 2019 Melbourne GP on Friday Saturday and Sunday. I really want to get an autograph from a driver. Is the autograph stage only on Thursdays? And when the best chance to get an autograph during the days I’m there? The best place is called the Melbourne Walk, which is where the drivers come in and leave the circuit each day. So you need to go there early or late. You can find it on the map – near the orange VIP parking. Are there speakers at the track so you can hear the real time commentary? Or can you suggest another option of how to hear the commentary. Since 1996 I have been permitted to bring non alcoholic drinks in cans to the circuit, this year I was stopped at gate 3. Outside it only states glass, it does not mention cans, the head gate person said outside is wrong info? Are people allowed to walk on the race track after the race has finished. Eg to view presentations and such. Yes, you can go on the track. They will open some gates a few minutes after the chequered flag and then you can run to the podium!